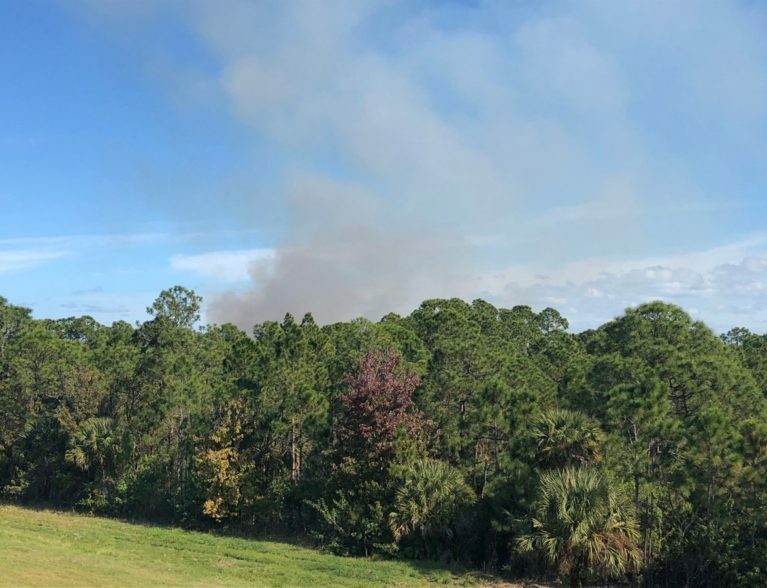 FELLSMERE — Commuters near County Road 512 might see or smell smoke from a 550-acre prescribed burn Thursday at the St. Sebastian River Preserve State Park. The burn was held from 10 a.m. to about 3 or 4 p.m. Thursday, Park Manager Dylan Gavagni said. State officials conducted the burn in the southeastern part of the park, near the North County Aquatic Center. Gavagni said park officials mowed and mulched the land to restore the vegetation. Prescribed fires are done only when weather conditions are suitable. Anyone who wishes to conduct a prescribed burn must get authorization from the Florida Forest Service. The burns restore healthy forests and reduce undergrowth that builds up over time, officials said. Burned lands experience a growth in native wildflowers, birds and other wildlife. For more information on Florida’s award-winning state parks, visit www.FloridaStateParks.org. To learn more about prescribed burning, visit www.goodfires.org.